I need to start working on my January make for #sewmystyle2018 challenge. I have downloaded and put together the Friday Pattern Company’s Sunny dress/top last night, but decided that do not have a right fabric in my stash. 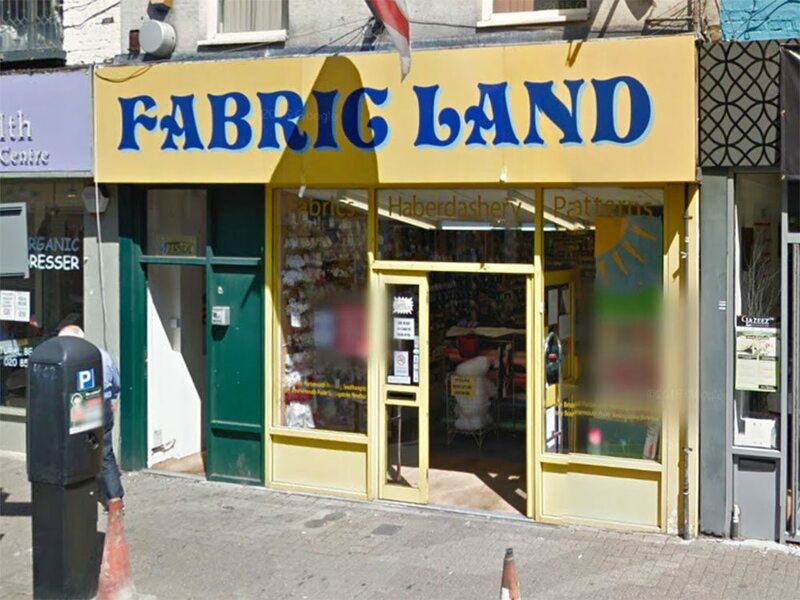 (I probably could find something if i look properly….but hey, any excuse to go fabric shopping makes me a happy bunny). There it is, I got up, got dressed and though to myself…Monika, why not visit a fabric shops you have never been to before??? Light bulb moment 🙂 I love going fabric shopping, and normally go to Goldhawk Road in Shepherd’s Bush, because it is the only place I know, plus there is so many shops and fabrics to choose from. I can spend all day there, just walking between rows of materials admiring all prints. As it was my day off work, and did not have any other plan I decided to visit two fabric shops in Kingston. I heard so many lovely comments from other Bloggers and YouTubers about Fabric Land and Fabrics Galore, but had to see for myself what the fuss is all about. The shop is situated on Old London Road and you know you are close when you get near all these Phone boxes. Upon the entering the shop, there was a very happy team of lovely ladies, that were very helpful and nice. The shop layout is very clear, whit all fabric rolls neatly stocked on the shelves. It took me about 20 minutes to find what I need and I need to be honest here….I bought not one, but two fabrics….feeling guilty??? NEVER!!! Time to wash them, so I can start my first project. I must say, I was a little surprise how affordable prices are in there, especially after closer inspection (not an expert), I can say that the quality of their products is very good. I really like how the put a label to each fabric roll stating the tape and name of the product among other information. This is extremely helpful, as I am still learning about different fabric types. Fabric Galore is less then 10 minutes walk from Fabric Land, so it would be very silly of me to ignore this fact and end my trip. The shop can be found in the centre of the Ancient Market Place, on the first floor in this lovely building. Just look if you don’t believe me. Prices here a much higher in comparison to the first shop,however it is clear just by looking at the material that the quality is very high. My imagination was running high while I was there. Thinking, planning what I would do with each fabric. I had to get out of there FAST before spending a fortune. This fabric is medium-weight, so i spoiled myself and got 3 meters. Enough for the next month’s project, which is a Rumana coat. I shell talk more about it when the time is right…Stay focused Monika….January project first! Ok, enough for today. Less talking, more sewing!! !